We have been walking since 3 AM since we had a full at the last night. We planned to cross the Maktesh and to sleep at Mitzpe Ramon at one of the Trail Angels. We started walking from Mount Yahav towards Mizpe Ramon. We Walked the Nekarot wadi and took a nap in one of his beautiful caves, the nap eventually lasted for four hours and we woke up at 17:00 an hour before sunset. We started to walk in a rush and saw the Parsa mountain in Front of us. 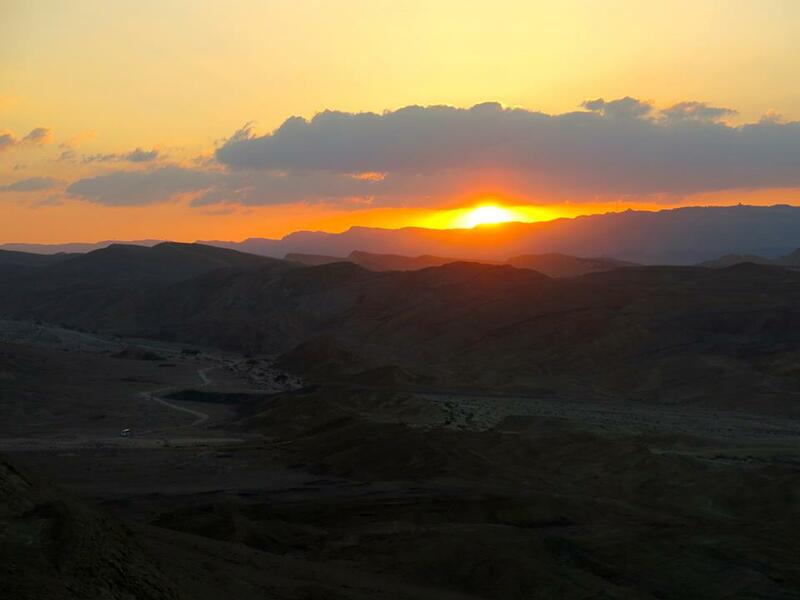 Then We understood that there is no way that we are going to make it to Mitzpe Ramon by sunset so we decided to climb the Mount and to make the night at the Gvanim night camp, under the Parsa Mount. That decision we made was one of the best choices we took for the whole trail. We climbed over the mountain and saw the sunset in front of us the whole Maktesh is beneath us and the wind blows and makes you breath so deep that your lungs are about to blow. Its WAS AMAZING that feeling to be part of everything and to feel so small in his world.